Many great cannabis strains are available today. Whether you enjoy a good smoke for its taste and flavour, have a passion for growing cannabis or are a medical cannabis user, you won’t have difficulties finding the right strain here at Zativo. With the many varieties of cannabis that you can grow, including the energizing and uplifting sativas, calming and relaxing indicas or easy-to-grow autoflowering strains and great hybrids, it may be your personal taste and preferences that will ultimately decide what strain you like best. Here is our list of Zativo’s top 10 staff picks of cannabis strains that we can recommend to you. Neville’s Haze by Mr. Nice is a tribute to Neville Schoenmakers who founded the very first cannabis seedbank back in the 1980s. Try it and you will immediately notice that this strain is something very special. It has a genuine old-school taste and aroma that will bring back all those great memories from past times. This is a fabulous strain not just for us “old farts” who love it to relive some good times from back then. This is also a good strain for anyone else because of its outstanding Haze qualities. You can grow Neville’s Haze indoors where it’s recommended you harvest before 16 weeks for the best results but you can also grow her outdoors where she can reach impressive heights. Her full flavour is unmistakably sativa and she will give a very strong, uplifting high. Neville’s Haze is not a plant for beginners in cannabis growing, but the more experienced growers will find this great old-school strain more than worth their efforts! Chocolope is DNA Genetics’ most popular and bestselling cannabis strain and if you try her you will understand why. One of her qualities that make Chocolope so much-liked is that she’s incredibly easy to grow. Even new growers can look forward to big harvests of many of her super-sized buds that will grow in a rather short 8-9 weeks. The plant can grow very tall in optimal conditions, so some topping or cropping would be recommended. However, Chocolope makes her biggest impression with her amazing taste. She has the genuine old school Chocolate flavour and aroma from her OG Chocolate Thai parent, which makes the strain a favourite for many connoisseurs. This flavour was very popular in the 1980s, which means that Chocolope is another great strain if you want to bring back some of the good old times with some first-class herb! Dutch Passions’s Frisian Dew is a gorgeous and outstanding outdoor cannabis variety. Simply look at her and the cross between a Skunk and a Purple Star will dazzle you with her beautiful purple hues. With her incredibly growing vigour, she will grow strong and healthy plants with just some basic care in a manageable 7-8 weeks. What makes her an ideal outdoor plant is that she is almost completely resistant to mould. This makes Frisian Dew an ideal strain to grow if you live in a climate with frequent rainfall. With a perfect stem to leave ratio, Frisian Dew is all about massive yields that the grower can expect at harvest time. Dutch Passion’s 1st prize winner at the High Life Holland in 2008 has a nice, rich smoke and awesome potency: a true first-class quality smoke. Her effect starts out energizing and uplifting like a typical sativa high and later on she shows her indica side with a strong and very relaxing body finish. Blueberry, the parent of the original Blue Cheese is a legendary West Coast strain that was created back in the 70s. For the strain’s father, breeder DJ Short mixed the genetics of "Juicy Fruit," a Thai Sativa, and a Purple Thai from Ohio (which was a cross between a Highland Oaxaca Gold and Chocolate Thai), with an Afghani male. Blue Cheese’s other parent is Cheese, which is one of the most famous strains created in the UK, mainly due to her distinctive smell. Blue Cheese is the outstanding multi-award-winning result from this cross that growers and smokers alike love for her extraordinary qualities. You will immediately know that she is something special when you note her wonderful blue and purple hues during growth. She is very easy to grow, even for less experienced cultivars. Blue Cheese has a pleasant aroma that is sweet and fruity with earthy and musky undertones that she got from the original Cheese. She will give a pleasant and smooth high that is happy and euphoric and at times mildly psychedelic. 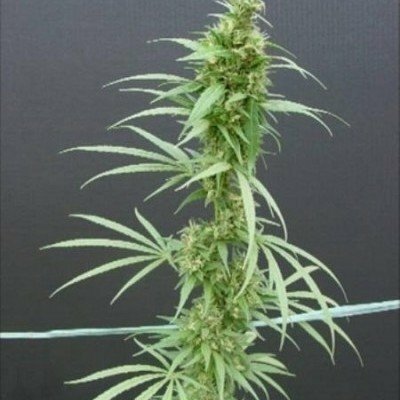 Lemon Haze by Zativo Seeds is a powerhouse of a plant in many aspects. Among many of the strain’s many superb qualities is her incredible potency. This is a smoke that’s definitely not for new smokers and even the one or the other “expert” may at time be blown away by her sheer power. Her out-of-this-world potency shouldn’t surprise when you know that she’s the child of a Lemon Skunk and Amnesia Haze, two strains that are famed for packing a very powerful punch. For a Haze, she grows in a rather short 8-9 weeks and her height stays rather manageable with an average 80-140cm when grown indoors. Her flavour and taste combines earthy Skunk tones with refreshing notes of lemon perfectly, some smokers say she tastes like lemon-flavored candy. With a whopping 21% THC, her high starts out like a typical sativa, uplifting and energizing, euphoric and psychedelic, and then smoothes out into heavenly deep relaxation. Paradise Seeds spent a lot of time and effort to create Delahaze. Their goal was to combine the best of Haze together with stellar yields and a shorter flowering time. No question, Delahaze turned out a formidable success, a “super plant” in many aspects. For cannabis growers, Delahaze is a robust plant that not only shines because of her big yields at harvest time but also with her resistance to mould, making her a hardy and rather easy to grow plant. Indoors, her flowering time is a short 9 weeks for a Haze. But give her a week more and she will reward you the full scale of her outstanding citrus and Haze flavour bouquet. Her quality high is starting out euphoric and happy and is then turning into a clean and focused body buzz that can last for several hours. She is a great smoke for during the day but equally well-suited if you want a boost of energy at night time. Devil’s Harvest Seeds named Casey Jones after a legendary American folk legend, hinting at the strain’s popularity and robustness. Although the strain is mostly sativa, she displays more of the classic indica characteristics. Her vegging time is a short 3 weeks and growers who like healthy plants will certainly value her natural mould resilience. However, be pre prepared and give the Lady some room because she can truly grow gigantic if you just let her. And grow she will! With her enormous vigour and superb genetics, she will please growers with some extraordinary yields whether you’re new to growing or happen to be a seasoned cannabis cultivar. There is a reason some call her the “runaway train” among the famous strains. Connoisseurs love the complexity of her flavour. She has an earthy and spicy taste mixed with a hint of Diesel that you would find with a quality Kush. She will give a fast hitting high that is clean and smooth, happy and uplifting. Kannabia calls their Mataró Blue the “most difficult genotype in our catalogue”, and they’re probably referring to the effort and time it took to create this masterpiece of a strain. She is a three-way crossing of a fruity US Blueberry, a famed Afghan Mazar-i-Sharif and the very successful Black Domina, some of the best Indica strains in the world. The outcome of their efforts combines the best attributes of those strains, such as the productivity from the Blueberry, the abundant resin production from the Mazar-i-Sharif and the structure that she got from her Black Domina parent. When smoked, you can taste a delightful mix of fruity sweetness together with notes of herbs, exotic spices and a hint of pepper. She will give a very strong body high that is sedating and relaxing which makes her also a good choice for medicinal cannabis users. Reggae Seeds’ Kalijah may not be the highest yielding strain out there, but once you taste her aroma and get to experience her spectacular high, you will be more than compensated for this. She is an easy-to-grow plant that doesn’t demand a lot to thrive. You can grow her almost everywhere including in small pots where she doesn’t require lots of nutrients. She’s especially well-suited for SOG grows and will grow extremely resinous, sizeable and compact buds. When you’re looking at her dazzling display of beautiful colours, you will at the same time note her distinctive smell that she got from her Blue Heaven parent from the Blue family. This mixes together beautifully with the earthy smells with citrus cents that she got from her Afghani parent. It is a smell that is difficult to describe and even more difficult to forget. She will give a very pleasant and uplifting high, making her a great smoke that is just perfect for all types of creative activities. Cream Caramel by Sweet Seeds didn’t choose that name without good reason. This cross between a BlueBlack, Maple Leaf Indica, and White Rhino is famous for her incredible caramel taste but this is just one of her outstanding qualities. This synthetic variety comes with the same growing vigour like a hybrid, making her easy to grow but without any sacrifices when it comes to yields, flavour or her potent high. Her superb caramel taste is perfectly accentuated with hints of earthiness that she got thanks to her BlueBlack genetics. However, Cream Caramel is not just an experience for your taste buds. With her very powerful high, this multi-award winning strain will deeply relax you and keep you on a cloud of happiness for hours. Her potency makes Cream Caramel also an ideal strain for medical cannabis users that seek relief from chronic pains, insomnia or stress.